If you’re planning your internet marketing strategy, you’ll want to make sure you have enough money to accomplish what you’re setting out to do. 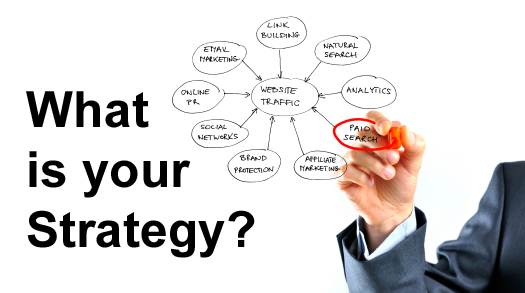 Use the suggestions below for establishing a budget plan to go along with your internet marketing plan. Don’t omit advertising, including internet marketing from your business budget. While it seems counter-intuitive, when you’re just starting out this budget is often higher than it will be once your business is more established. Establish a dollar amount by researching what other businesses in your industry and similar to your size allocate for internet marketing. It’s important that you consider whether the numbers you’re looking at are for all advertising or are already broken down into types of advertising, including internet marketing. Your advertising and internet marketing budget should be a range rather than a fixed dollar amount in order to account for fluctuations in expense you might not have considered. These numbers should not be randomly chosen but should be firm lines in the sand regarding what you are willing to spend. Keep breaking down your budget into smaller and smaller bits to understand how much money you have to work with. So, for example, if you allocate seven percent of your gross revenues to advertising and two percent of that seven percent to internet marketing, consider whether you intend to add internet marketing to your efforts in a given year or time period to more effectively allocate your budget. Consider upgrades that work to benefit your internet marketing but that might not diminish your internet marketing budget per say, such as improving your website which might be part of your computer and internet expenses rather than your advertising and marketing expenses. Consider creating press releases as part of your internet marketing efforts for your business using directory sites such as PR.com. These sites have free options for business postings in addition to paid services that use very small amounts of an internet marketing budget. PR.com has free services that you can start with. Consider discounts available for internet marketing such as online newspapers that haven’t filled space so that they’re willing to discount your marketing material at a reduced price. Consider whether you can barter your services when you’re purchasing internet marketing materials or services from an internet marketing company. You can legitimately ask internet marketing companies whether they would consider bartering with your company for its product and services in exchange for theirs. Be careful about how you’re going to establish the value of product or services bartered. Consider attending business conferences in your industry both to enhance your business to business opportunities for sales and to keep abreast of what’s going on in your industry. If you’re certain that a certain type of marketing is working, such as sending out mailers during particular times of year, do not replace that marketing with internet marketing until you’ve tried internet marketing and have gathered results concerning its effectiveness. Establishing and sticking to your internet marketing budget is a crucial step in creating an internet marketing strategy for your business. Use the suggestions above when you’re creating your marketing budget.